I am the diva - Certified Zentangle Teacher (CZT®): TIME TO CELEBRATE!! Some time this morning my little blog rolled over 1,000,000 hits!!! Can you believe it? i guess i knew it was coming, but it still kinda took me by surprise!! We need to celebrate, anyone have any ideas? 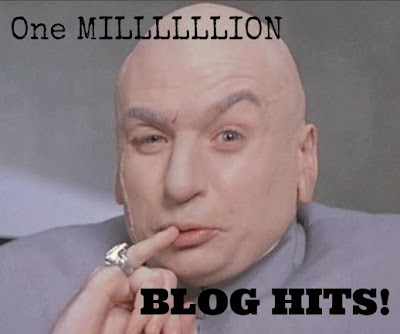 I just want to thank everyone, so much, for enjoying my blog and visiting over one million times!! I couldn't have done this without you. Congratulations. Your weekly challenge is a great way to encourage Zentangle®. Keep them coming. AWESOME! Congratulations on reaching this milestone. I know that visiting your blog is on my personal "Must Do" list each week. I may not always post a response to your challenge, but I always enjoy seeing what creative ideas you have come up with to inspire the Zentangle community. Thank you! Isn't it a rush? Let's you know that you are truly doing something that people want! Congratulations! congratulations. 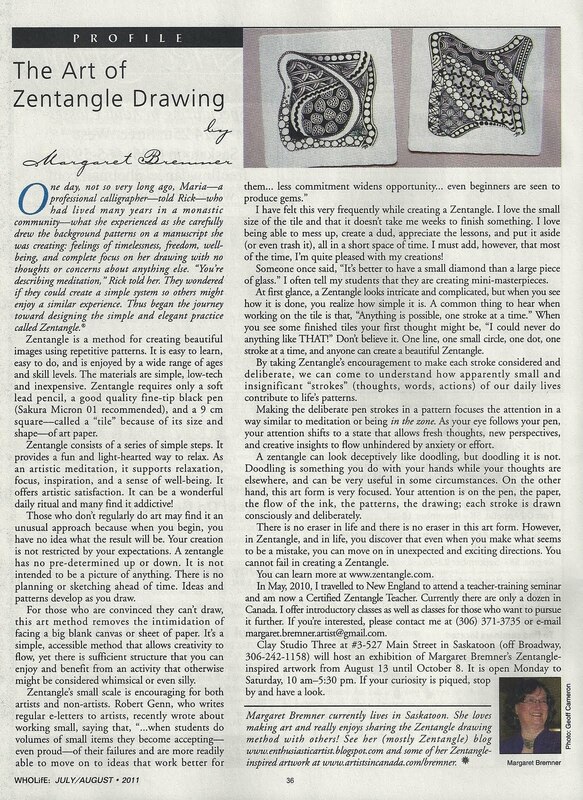 your challenges really get me into zentangle and I always enjoy reading about you and your family. maybe you can do something with this milestone in your next challenge? CONGRATULATIONS Laura!!!!! I think we have to thank you even more then you thanking us. Your blog adds a wonderful thing to a lot of people's lives. So: THANK YOU SO MUCH!!! Congratulations :) A fantastic milestone ! The challenges are a great inspiration for all of us. You ar the "bees knees" of Zentangle. Congratulations!!! Being new to Zentangles, this has become one of my favorite places to visit! This is fabulous! I love coming to your site.....I wonder how many of those page views.....lets say I am an addict! So happy for you! Congrats Laura..!! What an exciting milestone!! Laura, like others who have said they don't post every week, I also love seeing what others do even if I don't post every week.I have learned so much by observing the creations of those who post. Thank you so much for providing all of us this sharing opportunity. I appreciate the effort you put into this! Wow, this is very exciting! Congratulations! Congratulations Laura, your website provides so much fun for all of us. Although I am not able to participate every week, I always check in to see your challenge and what others have contributed. Thank you for your unselfish devotion to your weekly challenge. Offering my congratulations too! I love participating in the challenges each week. I also love to see what others have posted. I appreciate your commitment to posting each week and your creativity, coming up with different ideas to challenge us. Keep up the great work! Congratulations Diva!! You keep the Monday Blues with your great challenges. We have met so many wonderful people through you. Thanks for being the string that bonds all of us together! !